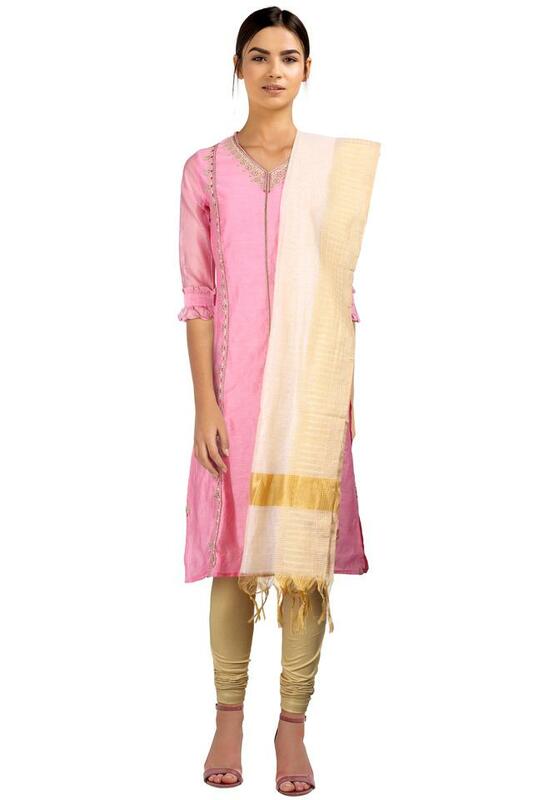 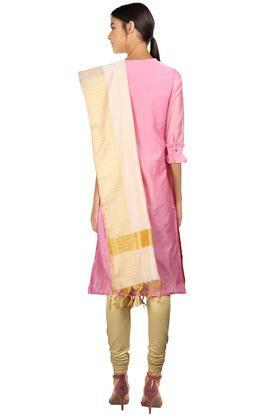 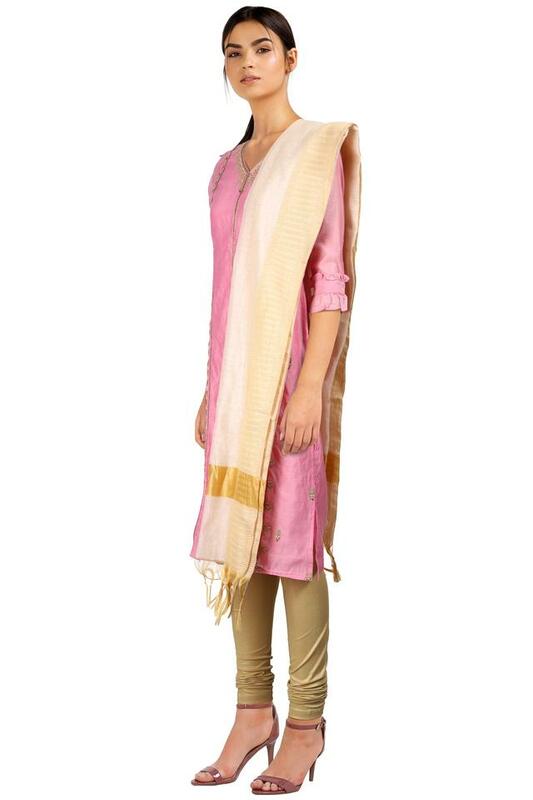 Embrace your traditional roots by wearing this gorgeous ethnic churidar suit from Imara. The classy V neck, three quarter sleeves and printed pattern of the kurta enhance your attire. 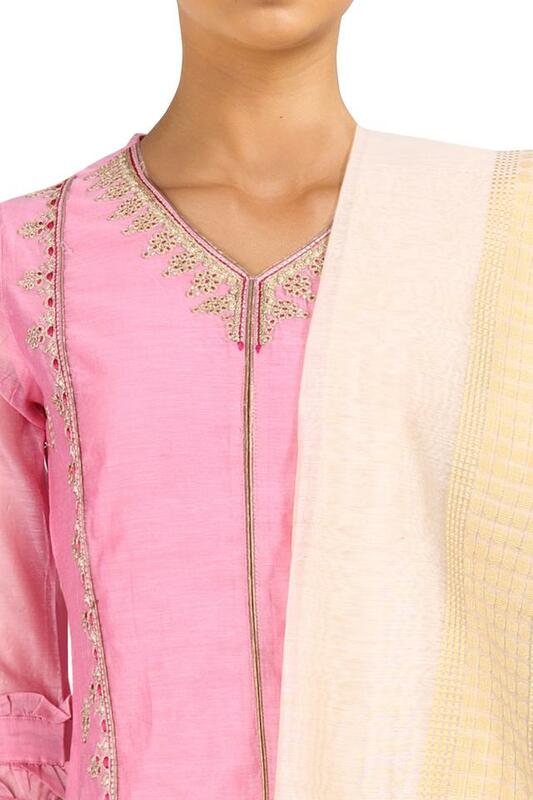 Besides, it promises to offer easy maintenance as it has been crafted with care using good quality fabric, while the dupatta and the pair of churidars complete the ensemble.